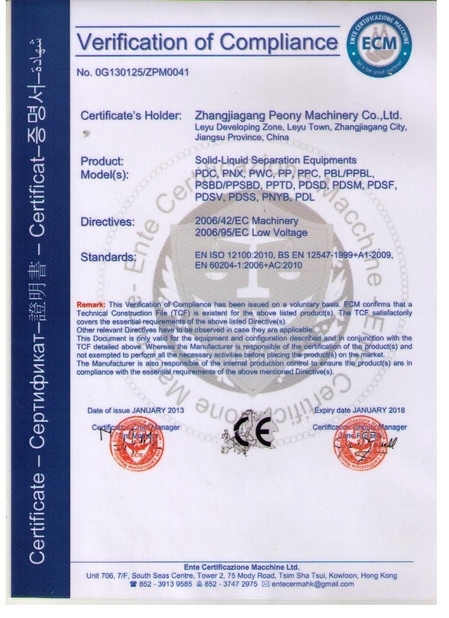 The material of drum doby, drum cover and valve is high strength stainless steel, the Moc of other parts are all high quality, anti-corrosion SS304, the separator shell employ SS304. 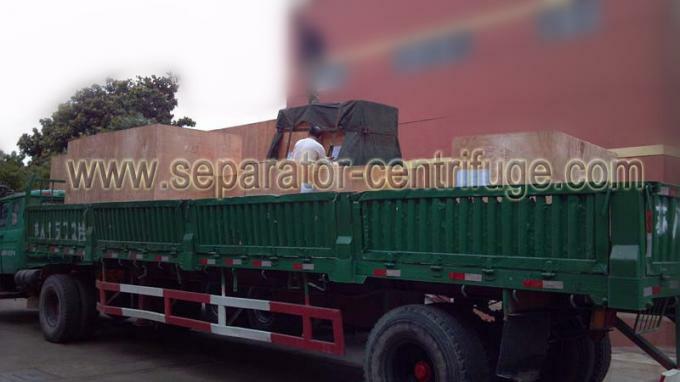 In the dismounting and maintenance, the parts of drum can be hoisted integrally, thus make the dismounting of main lock ring more convenient, saving both time and labor, easy to install the drum. The separator runs supercurrent, it will send warning signals and be stoped if the machine overload, to make the separator runs safely. 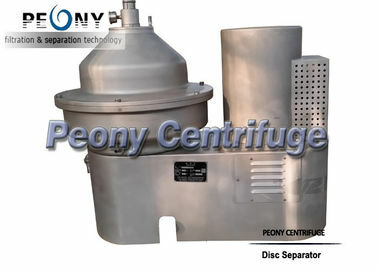 The separator has a less vibration and more stability through price dynamic balance of the drum. 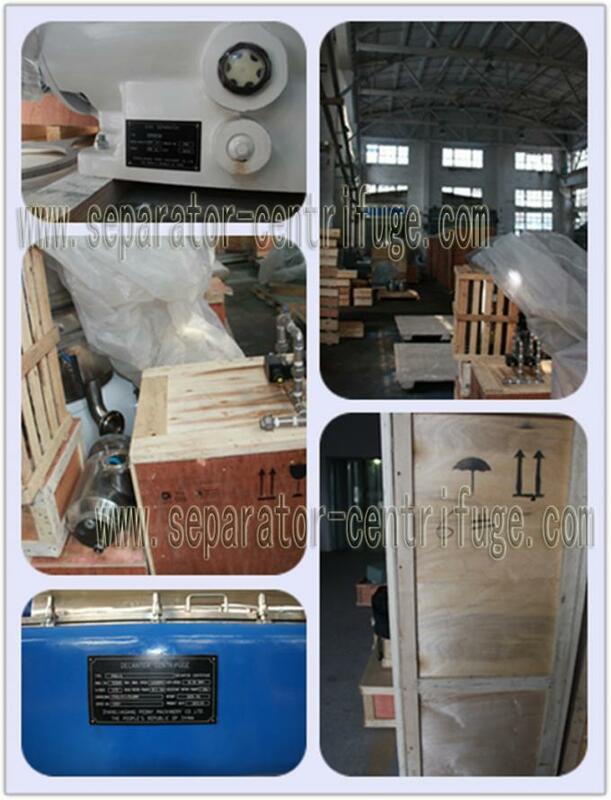 The separator adopts separation factor technology. It can separate product that is hard to separate, meanwhile, the machine has light volume and use the small volume to get big capacity and high separation efficiency. 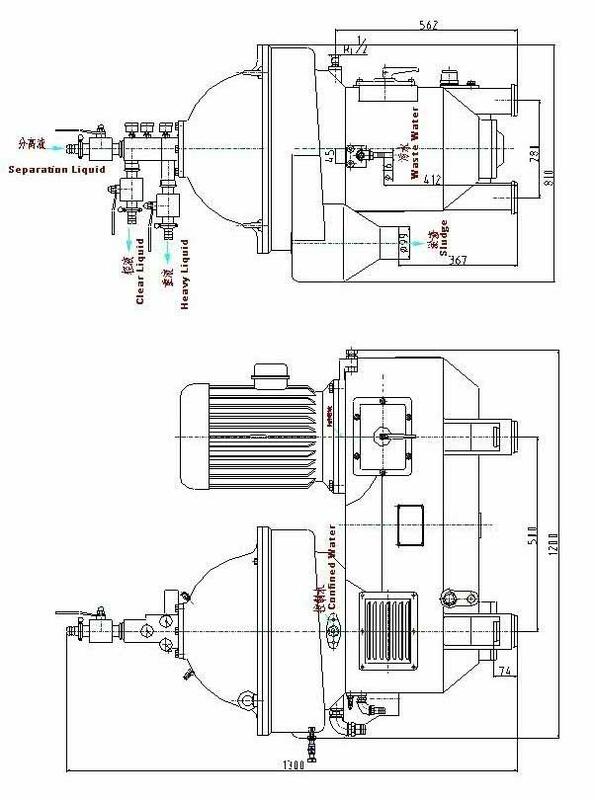 The separator adopts advance belt drive, improving the reliability and maintainability of the separator, and decreasing cost of spare parts. 1. 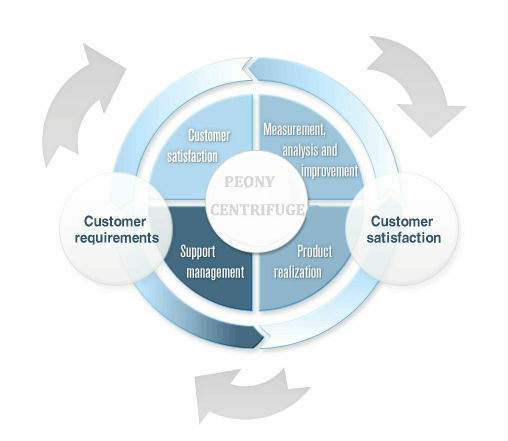 Peony adopts SKF bearing , which is consistent with Alfa, Westfalia. 2. 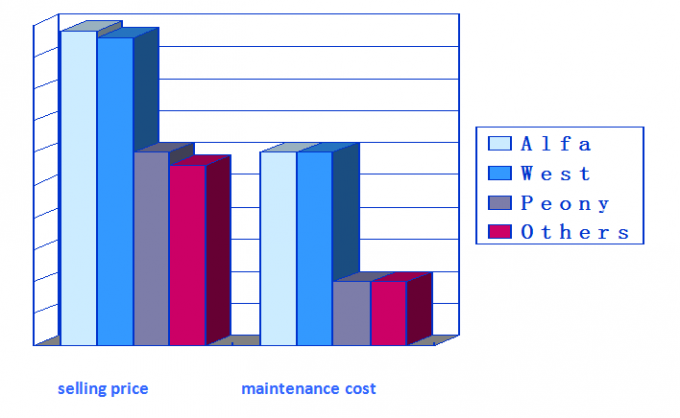 Alfa and Westfalia only provide clients with the bearing and the gear in the overhaul package(need to buy separately) while Peony has more sufficient attachment supply. 3. 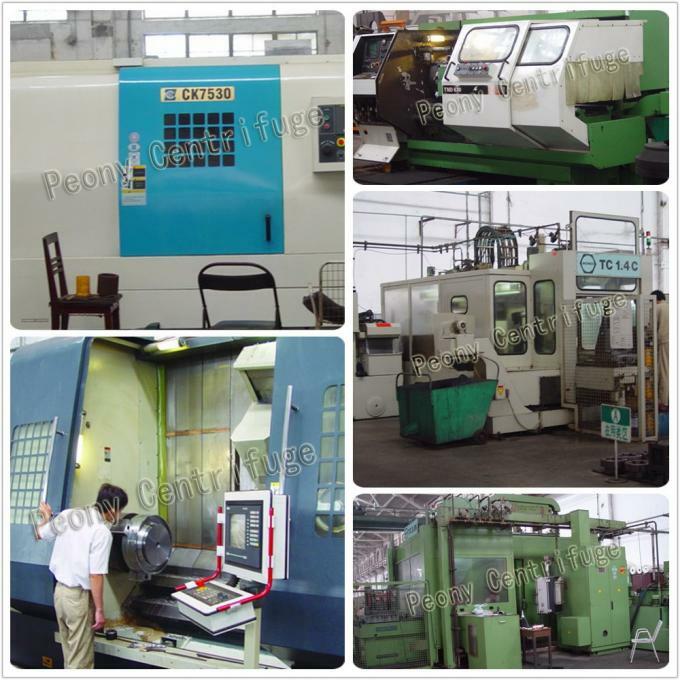 Peony never reduce the amount of spare parts and tools for users buying many sets of the same model machine. (unless the customer put forward in specially). 4. 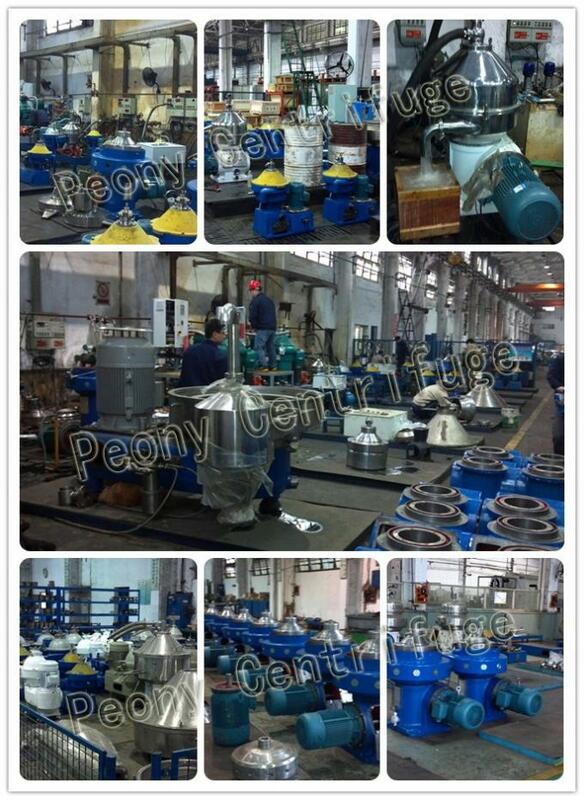 Regular spare parts are all in stock in Peony’s company. 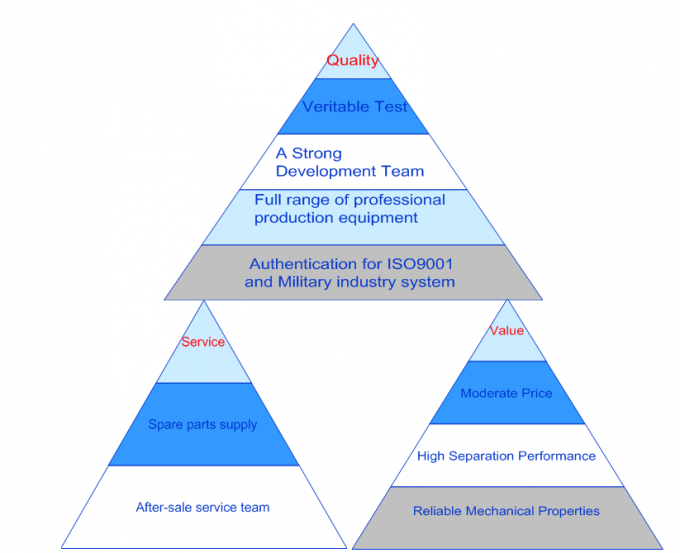 Peony has advantages in price ,service and quality.We have Military Product Quality System Certification,CE certificate,Quality System Certification,many professional equipments and advanced designs.